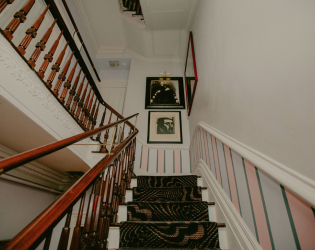 "A home for the curious." 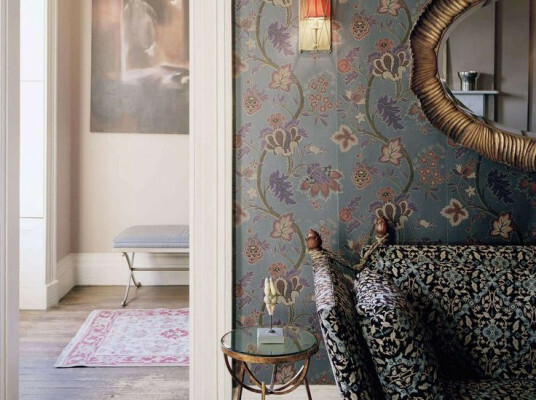 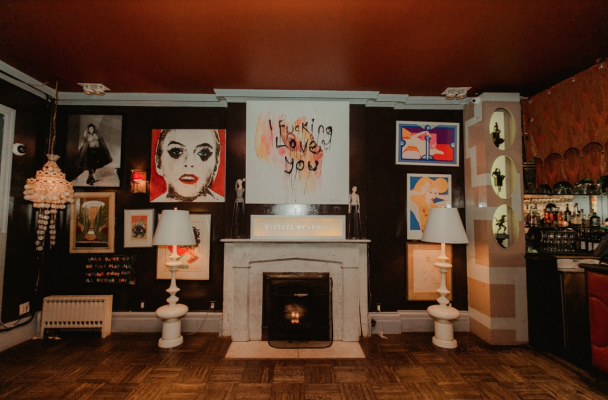 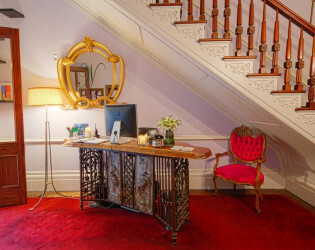 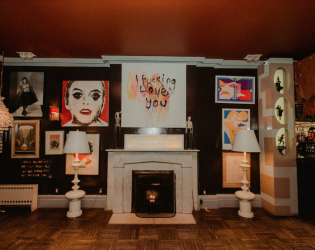 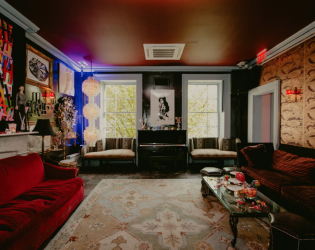 Or rather a carefully and artfully curated private social club in the heart of New York City, inhabiting one of the city's iconic brownstones. 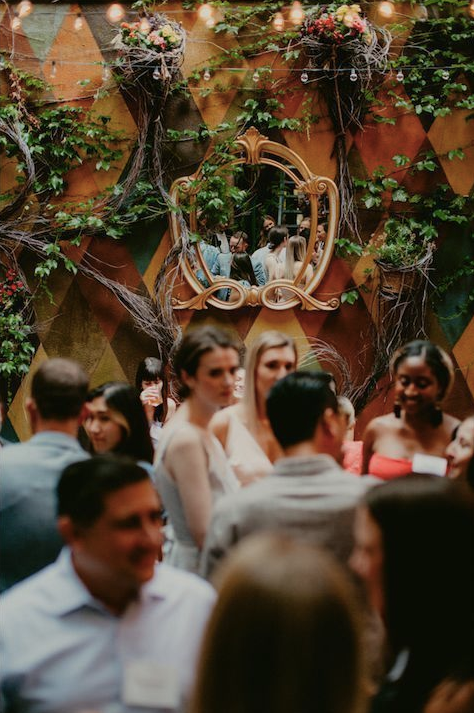 Spread out over 5 floors with a full restaurant, two bars, a screening room, a private dining room and a walled garden, this gorgeous gathering spot is sweetly secretive and practically party perfect. 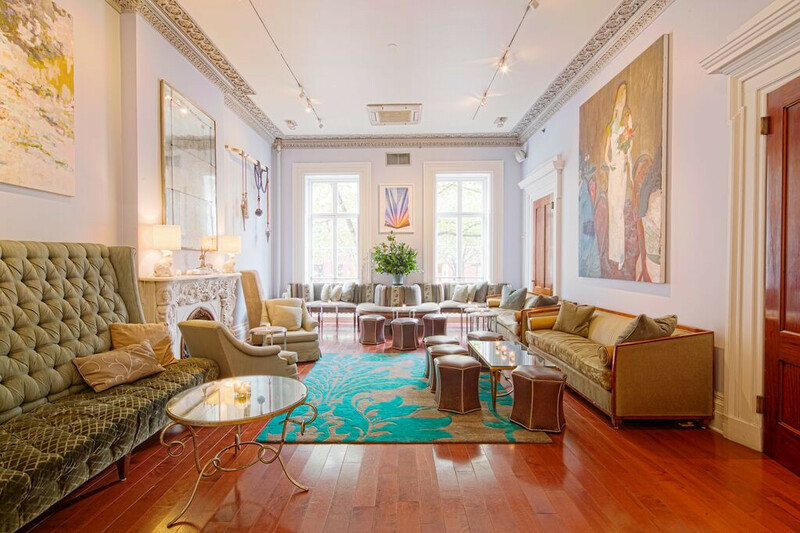 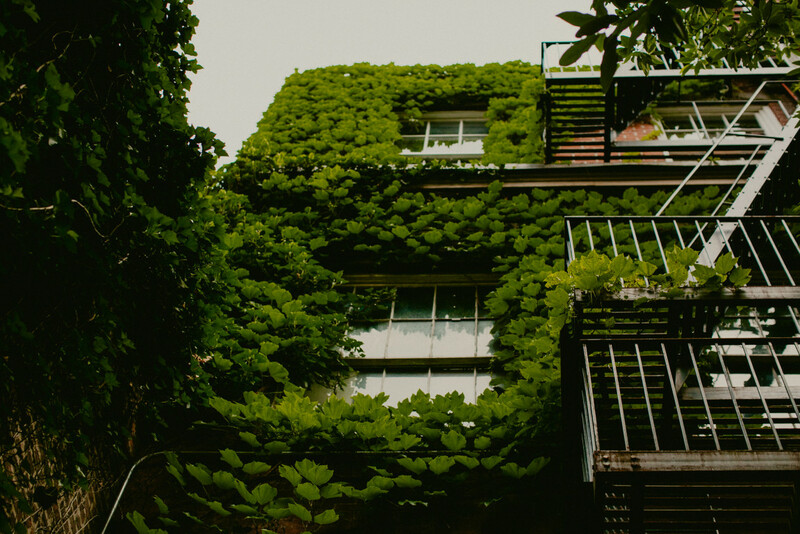 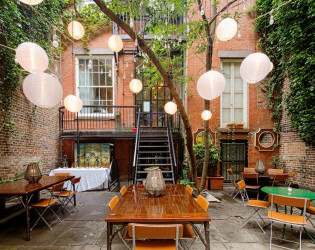 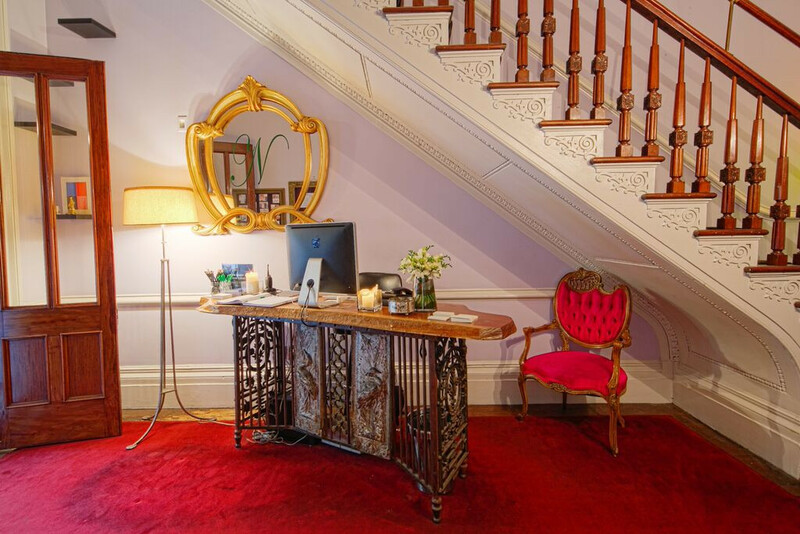 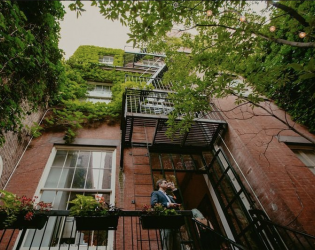 Arranged over 5 floors in a spectacular Landmarked townhouse, the Club has a forty-five seat restaurant, two lounge bars, a sixty seat screening room, a twenty-four seat private dining room as well as a walled garden. 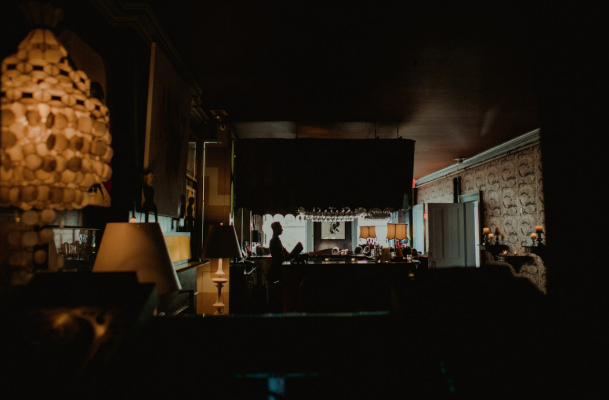 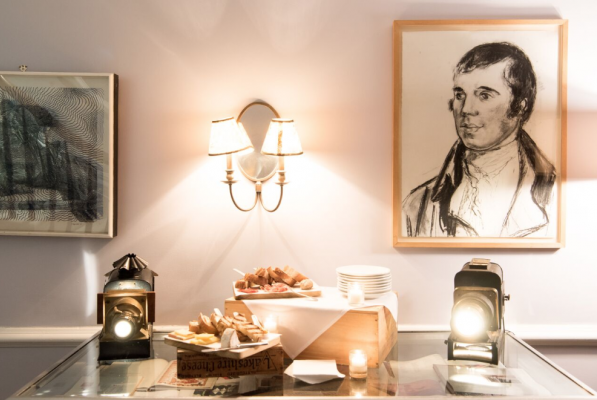 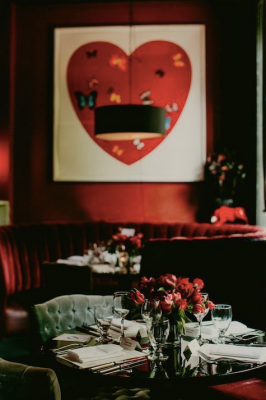 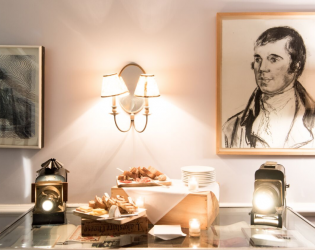 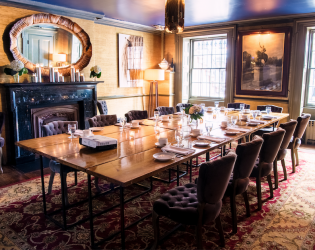 Founded in 2007, Norwood is a private members club providing a stylish and comfortable, meeting, eating and drinking haven in the heart of Manhattan. 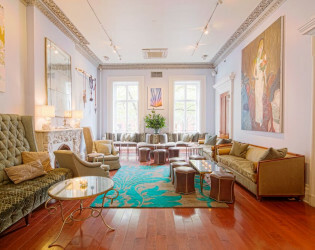 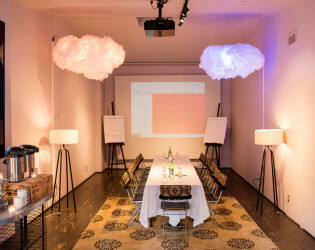 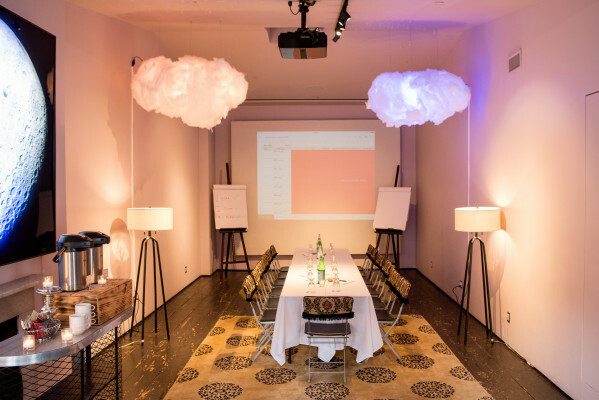 The Club draws its membership from the creative arts and in addition to basic sustenance aims to provide members with a salon of discovery through talks, tastings and stimulating events as well as being an active sponsor of creative talent in the New York area. 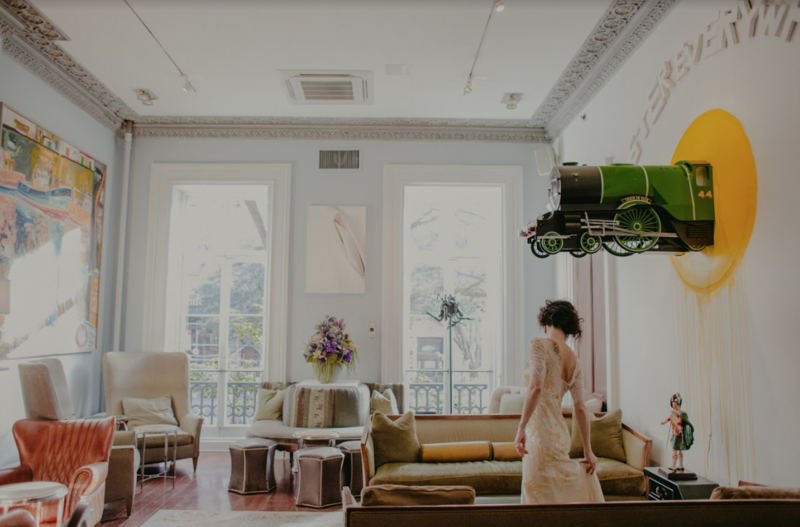 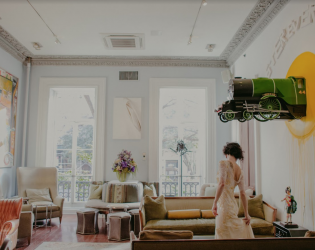 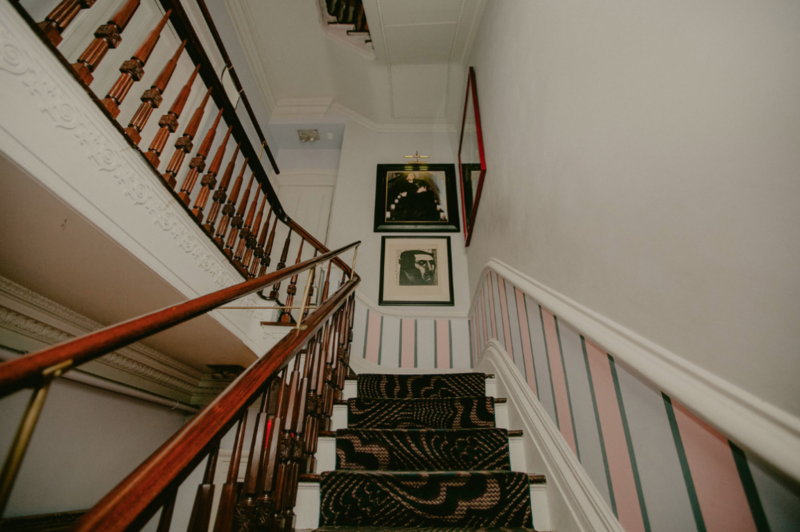 Norwood Club is an elegant urban residence designed in a transitional style, which combines Greek revival and Italianate features. 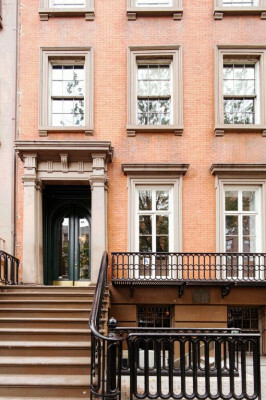 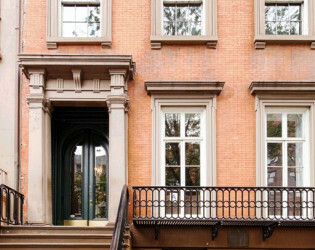 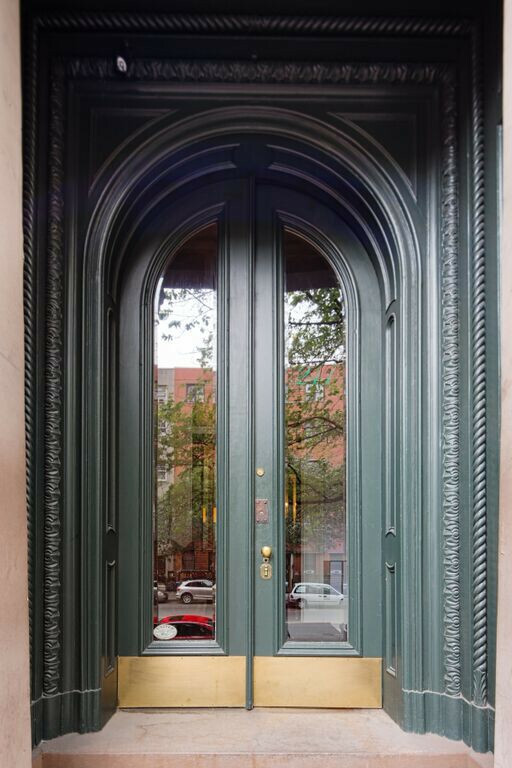 A remarkably preserved slice of early Victorian architecture and lifestyle - both inside and out; the House is listed on both the National Register of Historic Places and the New York City Landmarks Preservation Commission. Inside is a perfectly preserved 1847 mansion with 13 fireplaces, huge mahogany doors and intricate plaster crown molding over five exquisite floors. 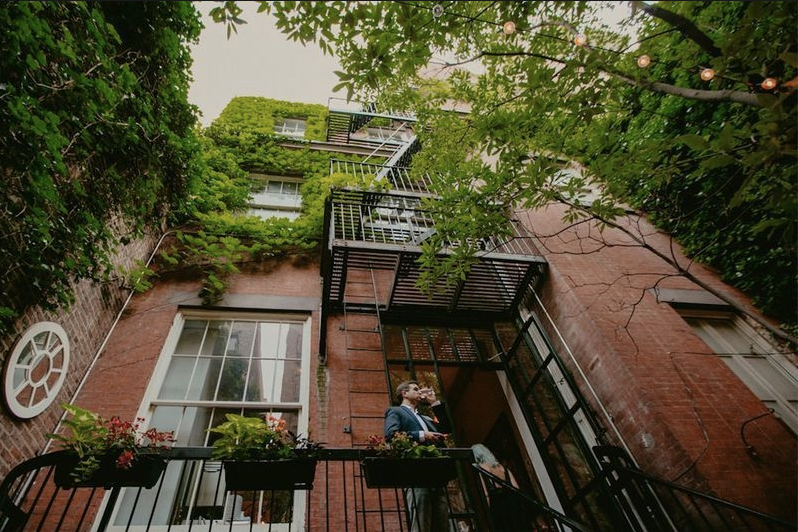 You and your guests will be dazzled with an outdoor ceremony in the walled garden, with green ivy growing all along the brick wall as you wander down the aisle of a charming stone patio. Bring the party inside for a one of a kind reception complete with unique accents, works of art adorning the walls, plush carpets, grand staircases, and charming hardwood floors throughout. 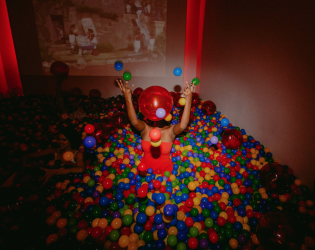 Come celebrate at Norwood, a home for the curious. 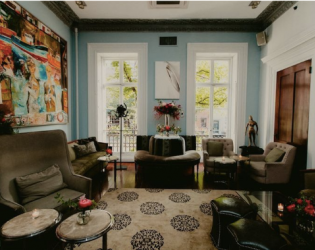 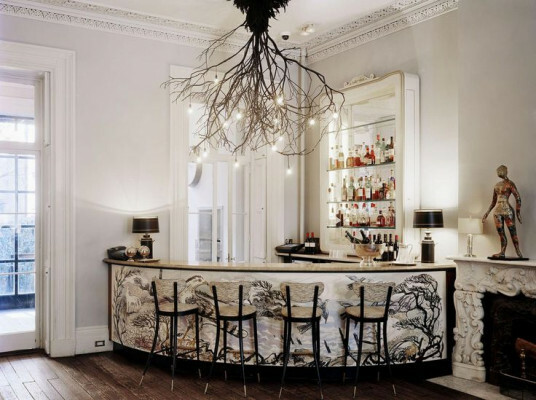 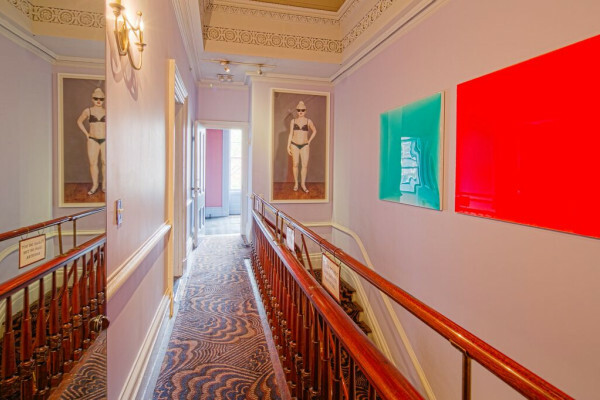 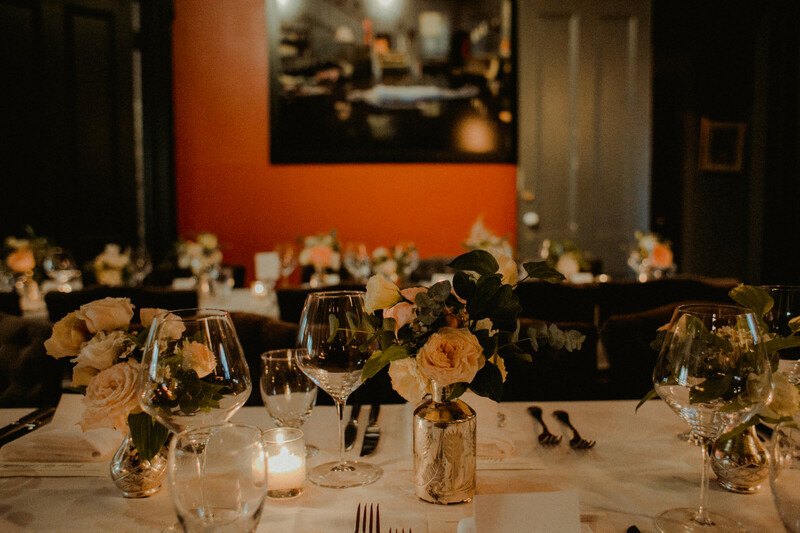 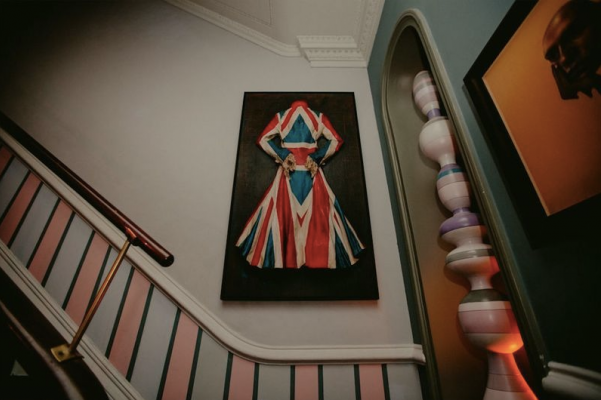 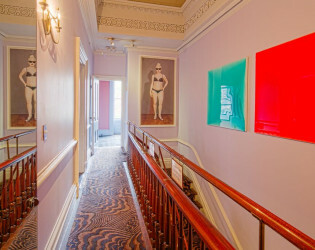 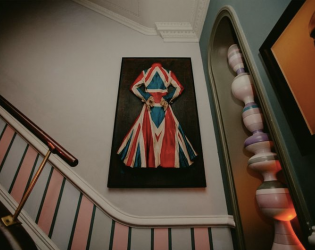 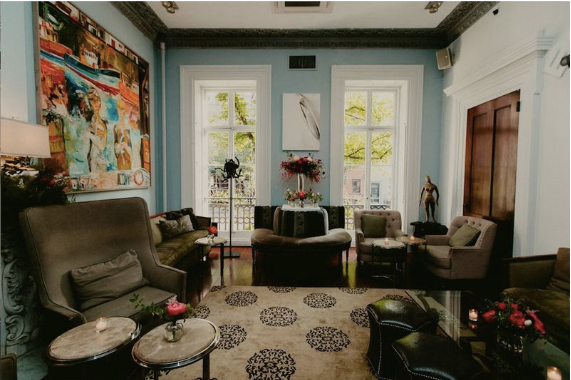 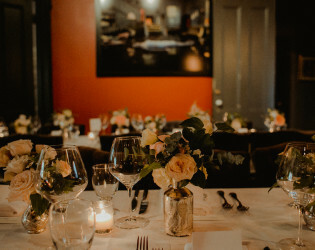 Arranged over 5 floors in a spectacular Landmarked townhouse, Norwood has a fifty seat Club Room restaurant, three lounge bars, a forty-five seat screening room and event space as well as a private dining room for up to twenty four people and a walled garden. The Lounge is on our main entrance level with food and beverage service available to members during all business hours and is only available to rent during non-business hours. 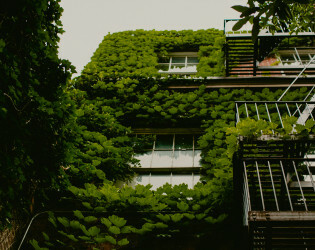 Rented in conjunction with the Garden. 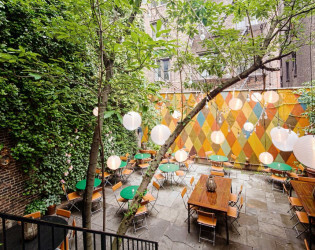 The Walled Garden is located in our private “backyard” with full food and beverage service along with seating. 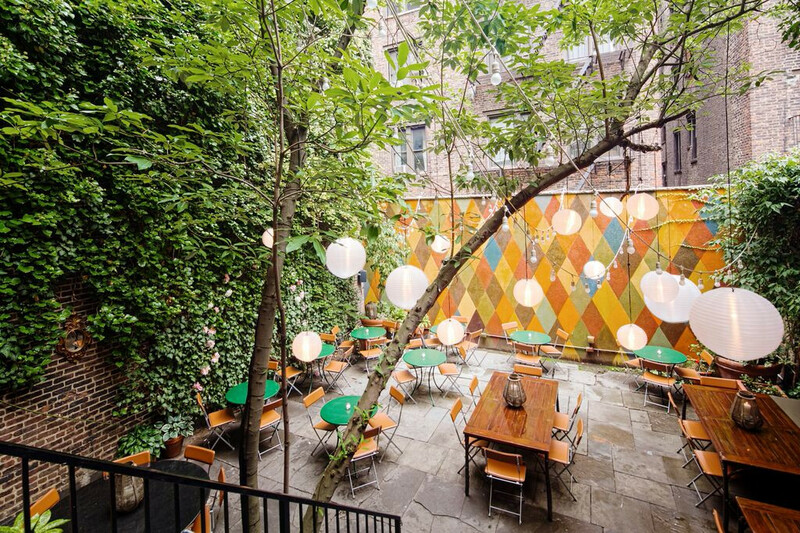 Like the Lounge, the Garden is only available to rent during non-business hours. 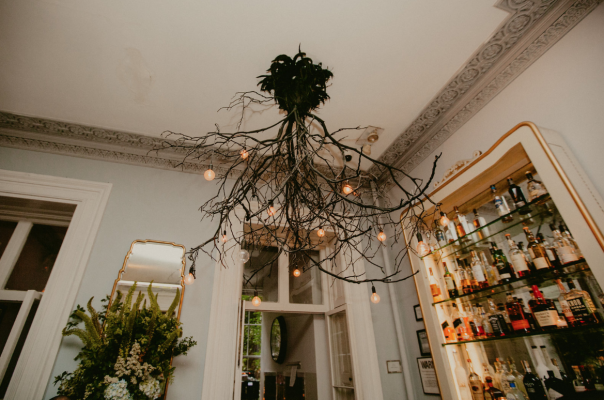 Often used for weddings, showers and brunches. 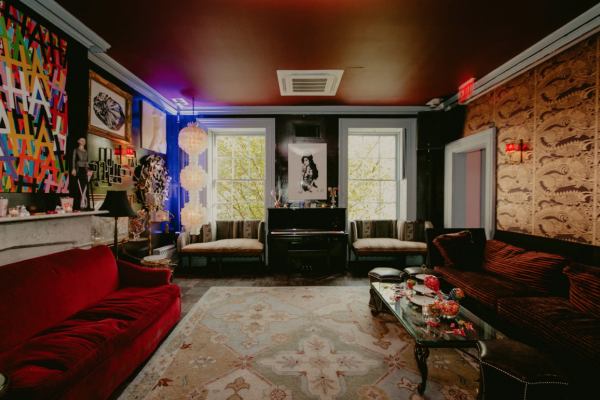 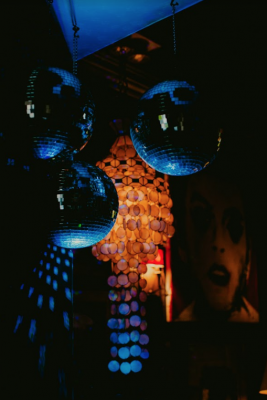 The Salon level is our West Village Bohemian style lounge stocked with a DJ booth, 42” screen TV with BluRay/DVD and Apple TV capabilities as well as a full bar. 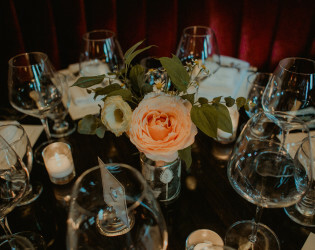 Often used for wedding receptions and cocktail parties. 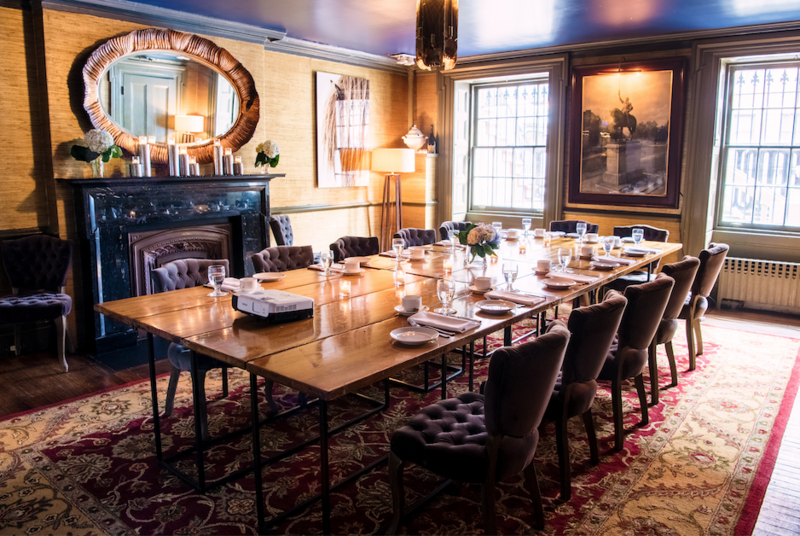 Our Private Dining Room is located on the ground floor of the building. 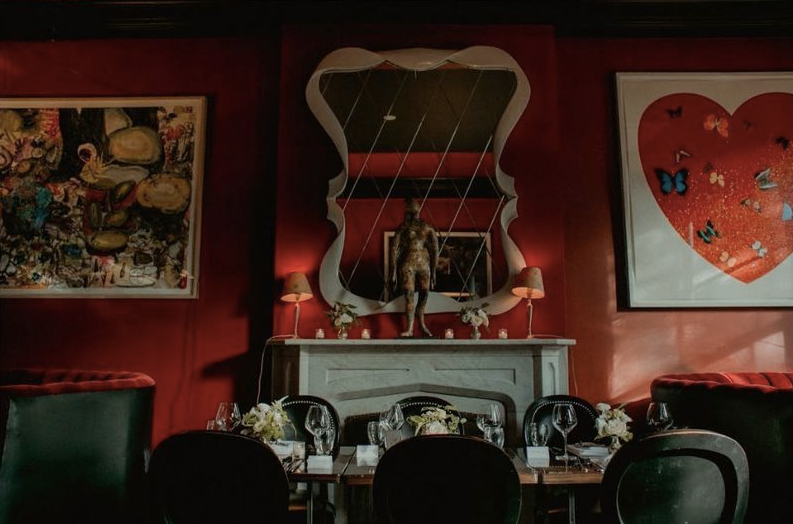 Often used for dinner parties and meetings. 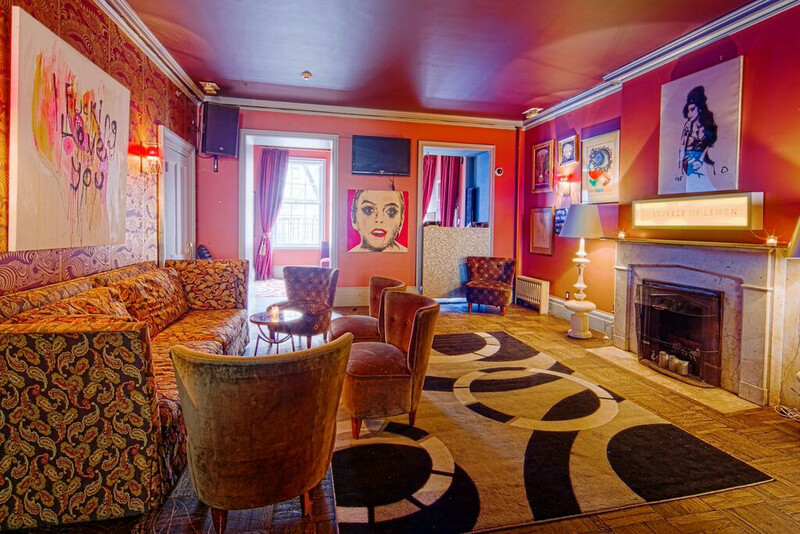 Our Club Room (restaurant/lounge) is equipped with a seated dining area as well as a full bar and lounge. 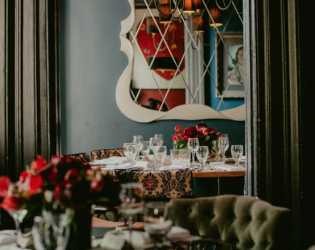 Often used for wedding receptions and dinner parties. 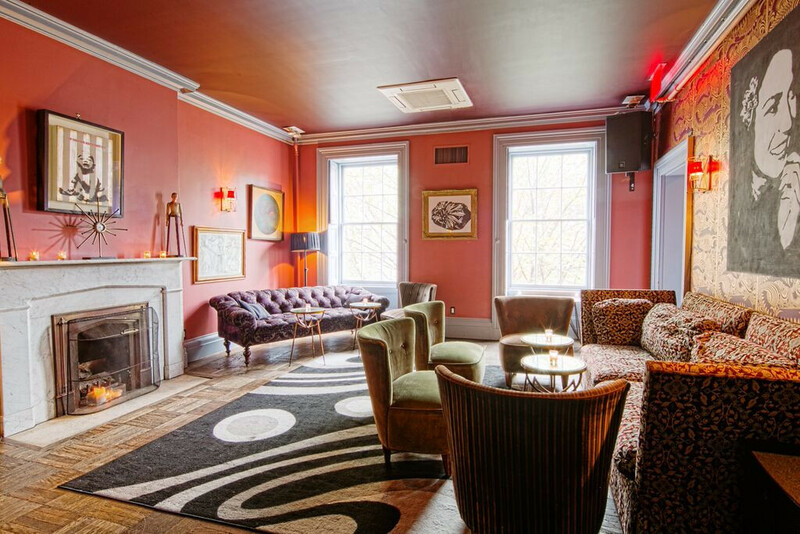 The Screening Room is on our top level, equipped with Blu-Ray, DVD, VGA and Apple TV capabilities. 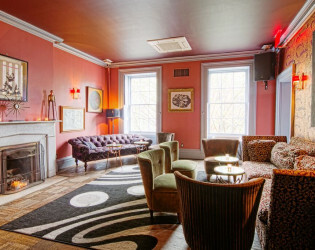 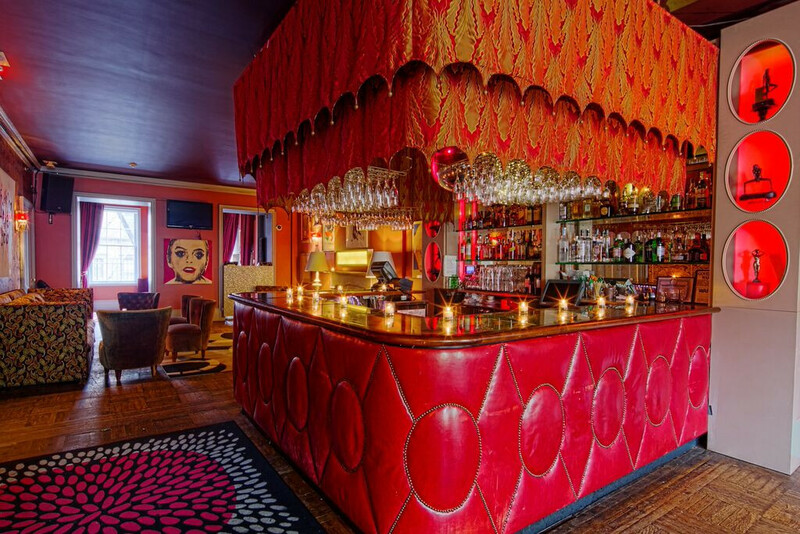 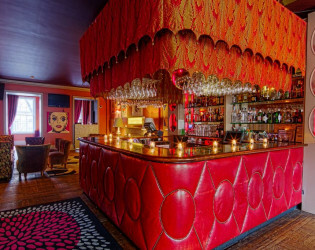 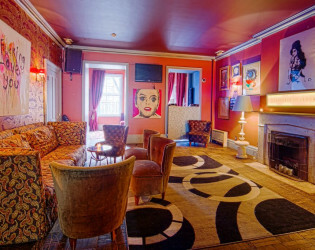 Often used for film screenings, meetings, dinner and cocktail parties. It also includes a Terrace that fits 15 to 20 people. 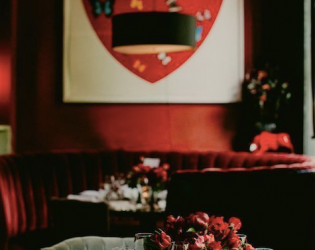 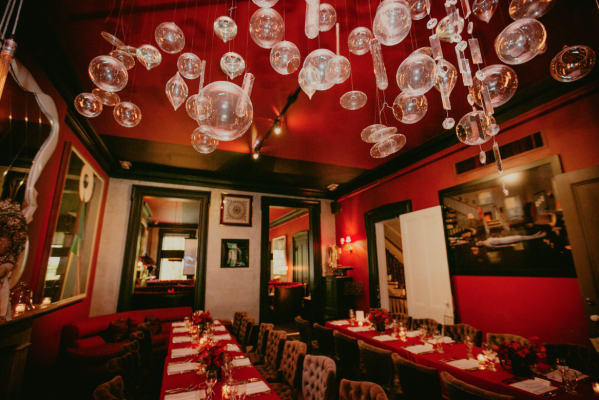 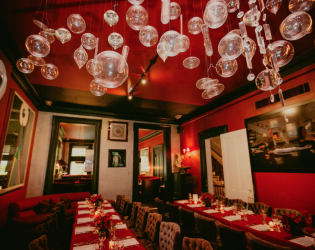 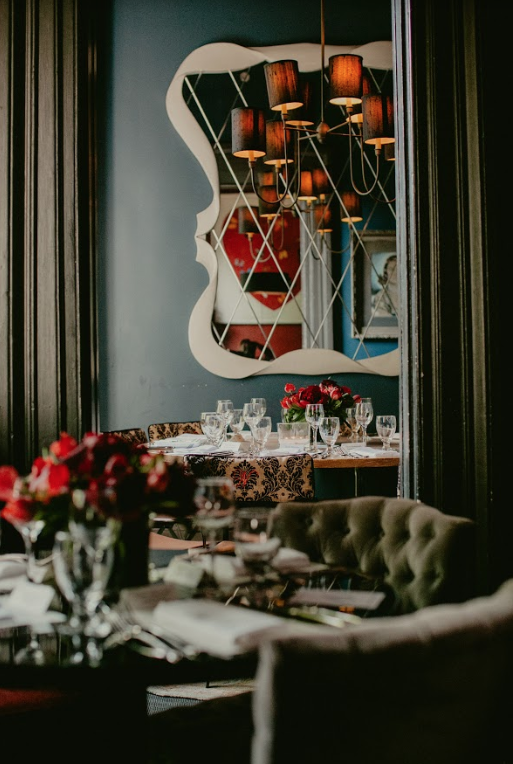 This being the sixth edition of the Planners Dining Club series, upping the glam and embracing a dark romance at a swanky private club in Chelsea seems totally on-par. 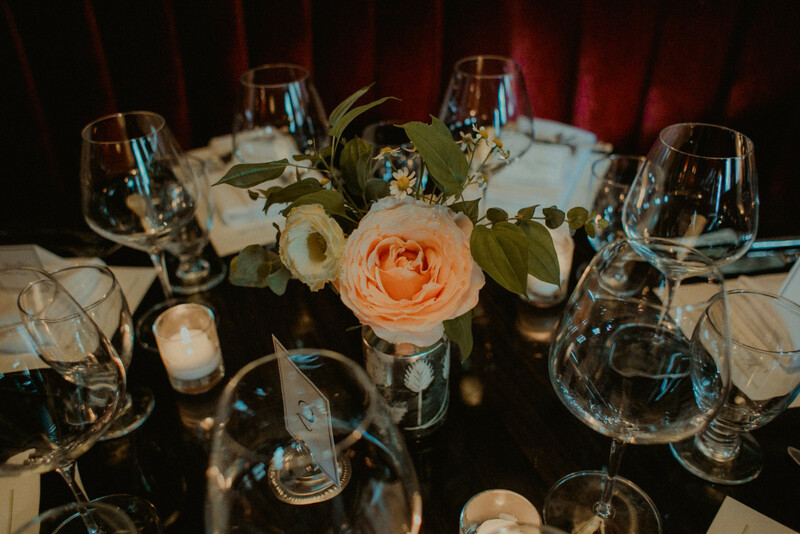 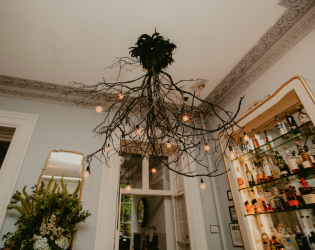 Event planning and design guru Jove Meyer embraced Norwood’s Victorian panache and brought in a moody, dramatic color palette with black as the feature, and had Alma Floral fill the space with unexpected bursts of flowers. 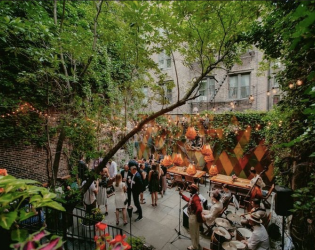 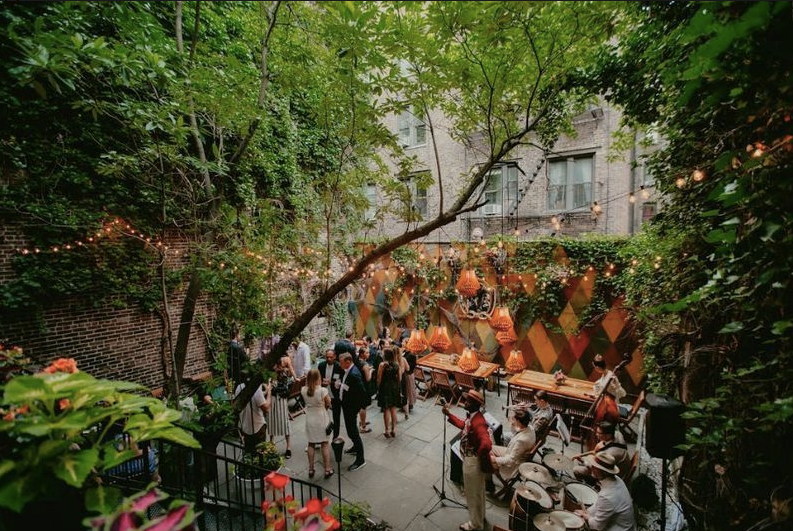 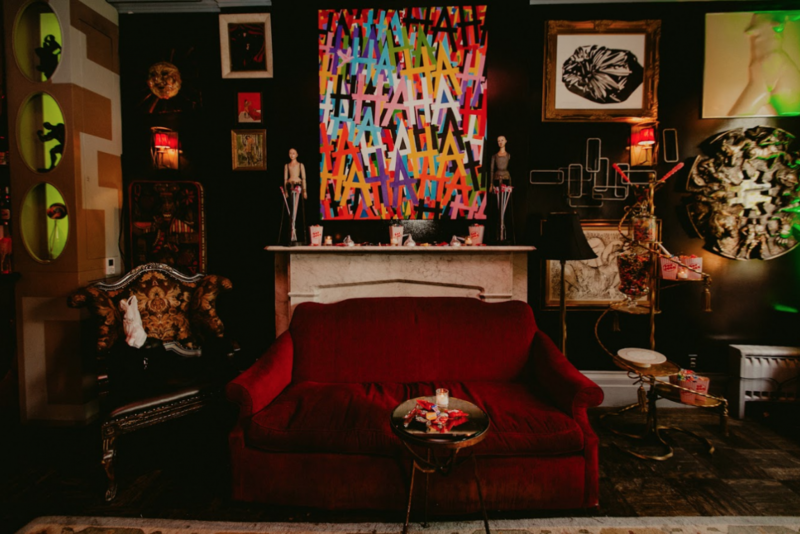 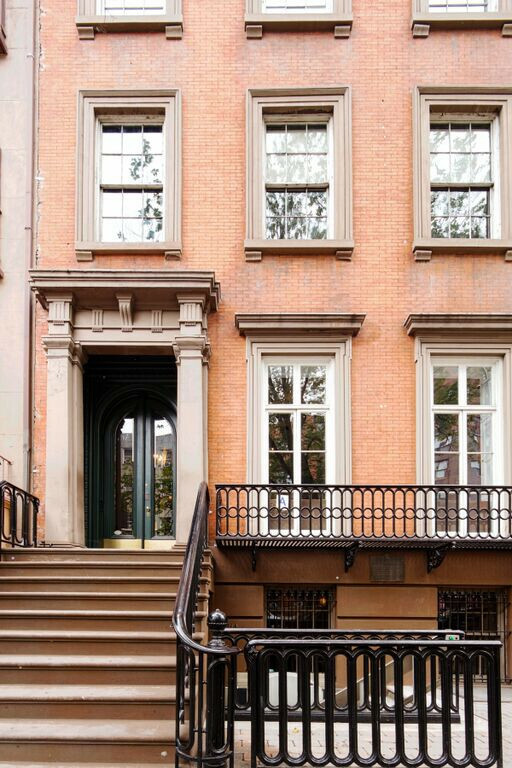 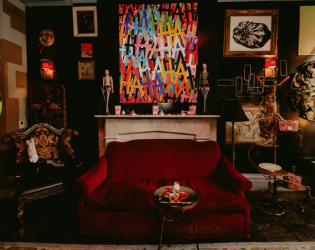 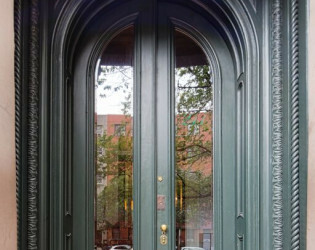 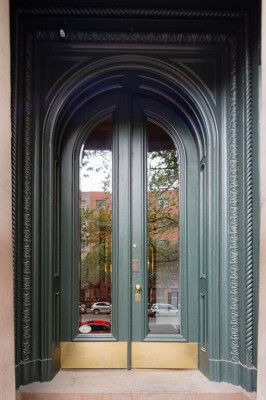 The historic 5-story townhouse’s eclectic, lived-in feel proved the perfect backdrop for such an inspired fête. 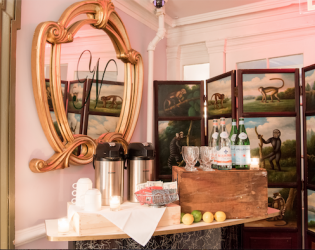 And because no event is worth its hype without delicious and equally inspired food, it’s worth mentioning that Norwood’s catering team developed a menu for this event that was entirely allergy safe. 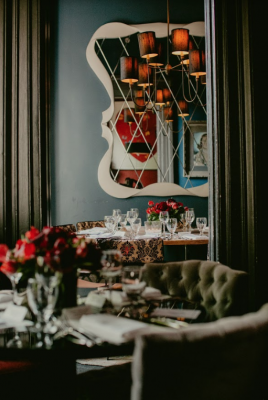 We’re talking vegan scallops, you guys. How imaginative is that! 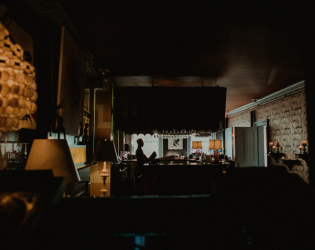 Muddling Memories also brought the cocktail game in strong, with a heavy hitting cocktail that included a cinnamon smoke infusion. 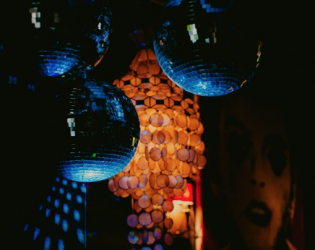 Read on below for all the details from Jove. 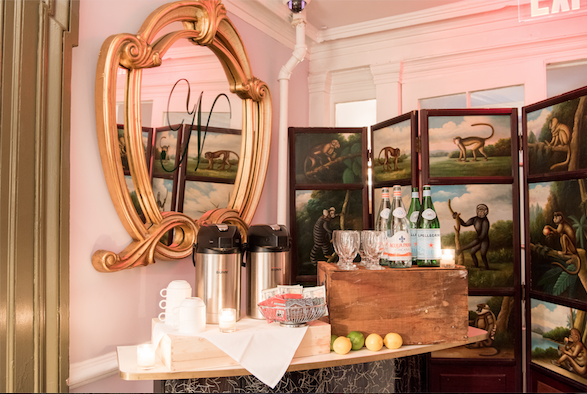 Created in partnership with our friends Norwood. 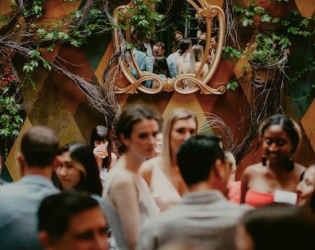 To be honest, there were moments where I wasn’t sure if I was awake or dreaming when I stepped into the world of Norwood’s ‘Chimera,’ an interactive dinner produced by Cinereal Productions and Norwood’s Director of Events, Rachelle Koser. 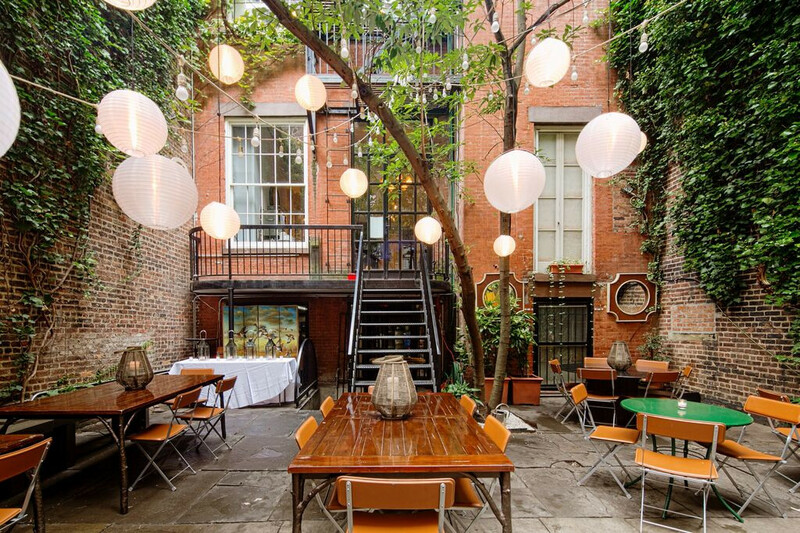 For those who might be unfamiliar, Norwood is a Manhattan-based members-only creative club created by founder Alan Linn, which over the years has become notorious for the clutches of prestigious filmmakers, artists, musicians, writers, designers and actors who have joined the exclusive community to mingle, talk shop and attend Norwood’s avant garde events. 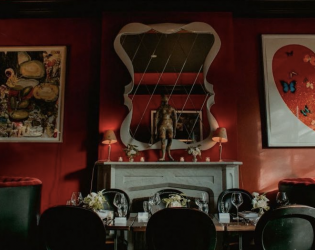 So you can imagine my eager anticipation when I received an invitation to cover one of these storied dinners. 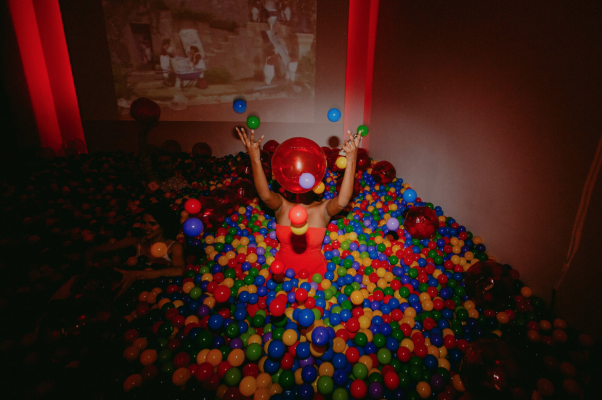 Throw in the questions I received in the email invite including “What is your zodiac sign? 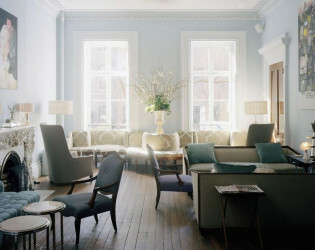 What color best describes your aura? We are all have our quirks, tell us about yours and your guests, and I knew fifty shades of quirky was in my very near future.